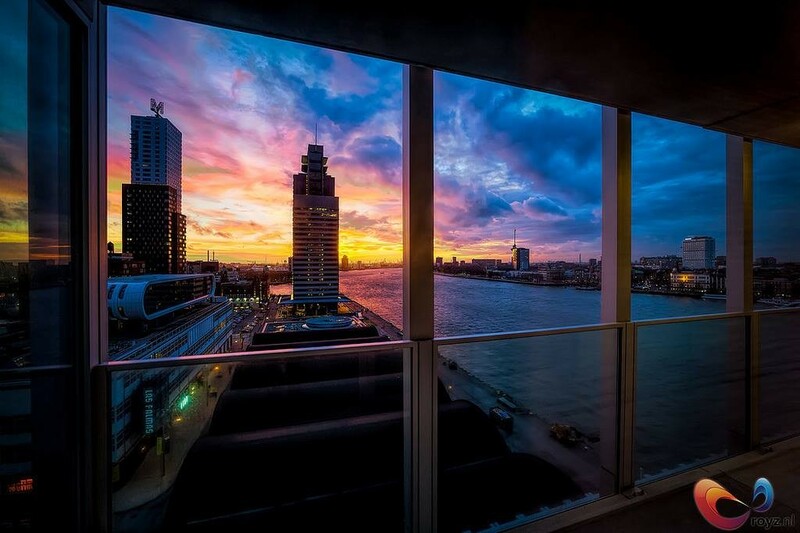 Once the largest port of the whole world, Rotterdam is now reinventing itself as an innovative and up-and-coming hotspot of Western Europe. You couldn’t have missed awesome buildings like the Markthal, the massive ‘De Rotterdam‘ and its grand futuristic Central Station. Buildings like these are only part of the vibe that propelled Rotterdam to the top of listicles by the likes of the Lonely Planet and the Rough Guide. But as so often it’s the little gems that make all the difference, and there are three brilliant innovative initiatives (that’s a lot of tives) which really excite me. Why you ask? Since these developments are productive, intelligent and last but not least: really easy on the eyes, thereby bringing the fulfillment of the vague and fabulous promise of a true Smart City a little bit closer. So what are these projects that popped up in the Smart City of Rotterdam? 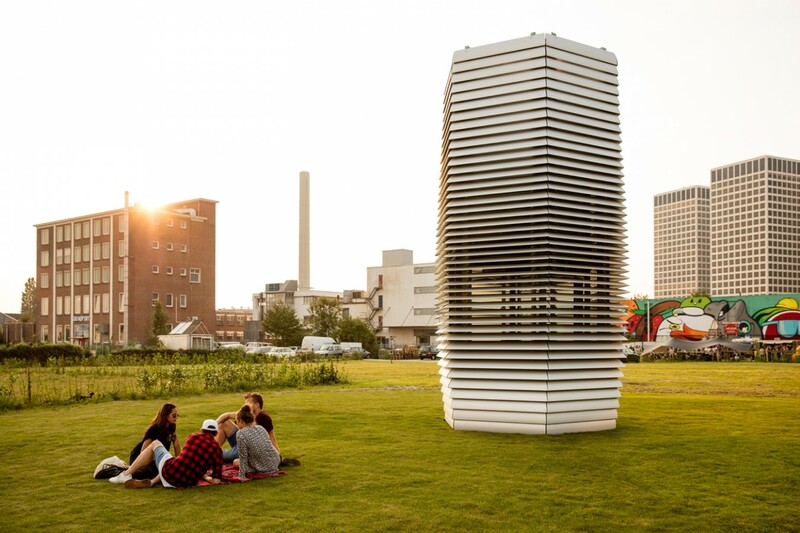 Dutch designer Daan Roosegaarde (I love his stuff and he’s featured here and here) and his teamhave created the world’s largest smog vacuum cleaner. Being a large industrial city Rotterdam could use one as well. This ‘Smog Free Tower uses patented ion technology to produce smog-free bubbles of public space, allowing people to breathe and experience clean air for free. The compressed smog (or filth if you will) is consequently turned into jewelry like cuff links and rings. This is done through a process of what can be only described as wizardry or magic (or probably some smart engineering, I’m an alpha not beta guy). The Smog Free Project is not only intended to be a nice hipster and clean air project, but also a sensory experience of a clean future. And as with everything innovative nowadays, it has been kickstarted – crowdsourced and public-privately built. Can’t wait for Roosegaarde’s next project! Rif010 – The Man Made Wave. Speaking of new public initiatives, the municipality of Rotterdam decided to invest 2,5 million in a ‘city-initiative’ to brighten the place up (and because fighting poverty and stuff like that is boring sometimes). The idea was that an election should take place between a bunch of civilian initiatives, all Rotterdam’s citizens were invited to cast their vote, and in 2014 the awesome concept of Rif010 won! An installation will be built in the Steigersgracht (great Dutch word for foreigners) which will produce great, barrel-like, waves which will allow for 10 seconds of surfing or whatever your choice of watersport may be. The water will also be thoroughly cleaned in order to make scuba-diving and such possible. And on top it will make for a great piece of pleasant scenery right near the Markthal. Enter Bluecity010 (in case you’re wondering – 010 is the netcode of phonenumbers in Rotterdam) who have just this month purchased Tropicana and are planning to turn it into a circular and sustainable economic hotspot right next to the Maas river. They’re doing this by hosting tens of small companies who have made it their business of turning another business their waste into a fine product, allowing these business to profit from each others waste. A mushroom company is for example using the waste of the next door coffee company to grow their mushrooms on that waste. Smart huh!? And from the looks of it Rotterdam as a Smart City will be an ongoing story. 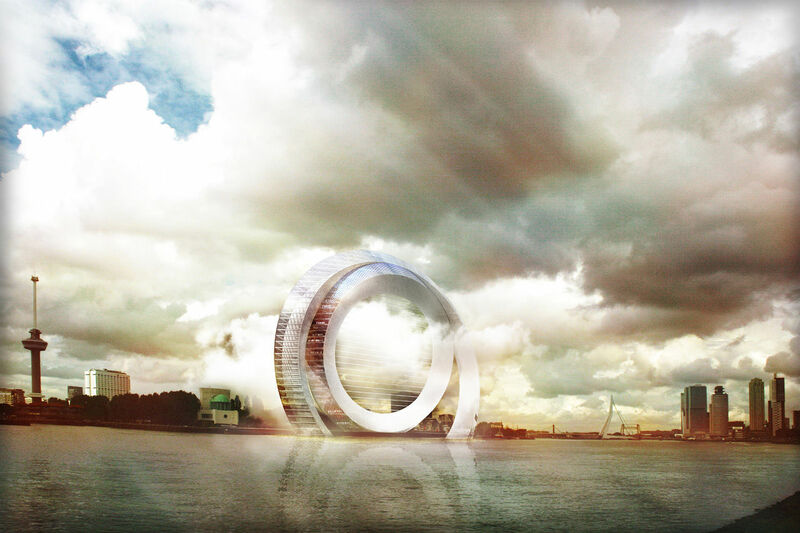 Not only has Rem Koolhaas signed up signed to finally bring Rotterdam a new Feyenoord Stadium, the city is also looking forward to being the hometown of the Dutch Wind Wheel. Which is perceived to be basically a giant wind wheel/apartmentbuilding/innovative centre and attraction at the same (for more info on this beauty, here).